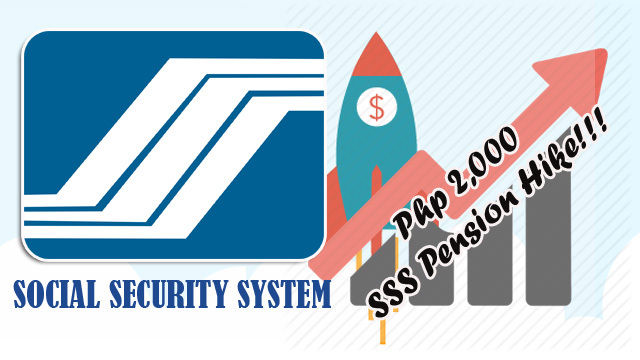 President Rodrigo Duterte has finally fulfilled one of his many promises to the Filipinos as the SSS pension hike was approved. An estimated two million SSS pensioners would enjoy a Php 1,000 pension-hike this January with another impending increase of Php 1,000 set in the future. The increase would take effect this month, but due to re-computations and other system requirements, it would be slightly delayed until February. "He seeks to fulfill a social contract with the Filipino people, especially the elderly and the poor who gave the best years of their lives in service; while exercising fiscal responsibility to ensure the economic sustainability and protect the gains made by those who have prudently invested in the nation's future,” referring to President Duterte. Consequently, it would have undesirable effects to some 30 million SSS contributors as their contribution rate is set to increase to 12.5 percent from 11 percent. Furthermore, the maximum salary credit will be increased to Php 20,000 from the current Php 16,000. According to SSS Chairman Amado Valdez, there is a possibility that the increase in contribution would continue annually for six years until it reaches the target of 17 percent. He added that it was still only a possibility because the government-owned company would continue to seek ways to improve their investment income. If it improves, then there would be no need to let the contributors shoulder additional hikes. Fears of bankruptcy led to the vetoing of former President Benigno Aquino of the proposed hike during his term, but according to Abella, the fund life will continue until 2040 once the increase in contributions is implemented. There was also no need to make use of taxpayers’ money to sustain the SSS fund.